Mary Foster Editor's Daughter is a serial old time radio soap opera about the life and trials of a newspaper editor's daughter. Mary solved the problems of those around her and wears many hats. She's a mother, daughter, best friend, writer, business lady, match maker, and more. Mary Foster Editor's Daughter stars Joan Banks, Parker Fennelly, and Mason Adams. Ed Herlihy serves as the announcer for the program. 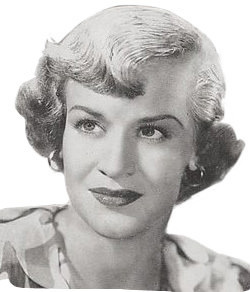 Kroger's Ice Tea sponsored Mary Foster Editor's Daughter for the duration of the show's run, later local advertisements were added. See also: Mary Noble, Backstage Wife, The Doctors' Wife, Lora Lawton , Romance of Helen Trent, and Linda's First Love. Be the first to comment on "Mary Foster Editors Daughter"